Are you in charge of how work at height is undertaken on your site? The construction sector places several safety regulations which hold employers, managing agents, contractors, principal contractors, site foremen and the self-employed responsible. Non-compliance can lead to heavy penalties and unexpected costs. Whether you’re looking to utilize a platform ladder or work on top of a high scaffold, compliance is a benefit to you. Have You Conducted a Risk Assessment? All work at height needs to be planned in advance to the work activity, with careful consideration placed on the selection and use of access equipment. Speak to SafeSmart about our industry specific construction scaffolding, platform ladder or portable stairs solutions, built according to regulations and specifications uniquely relevant to your industry. 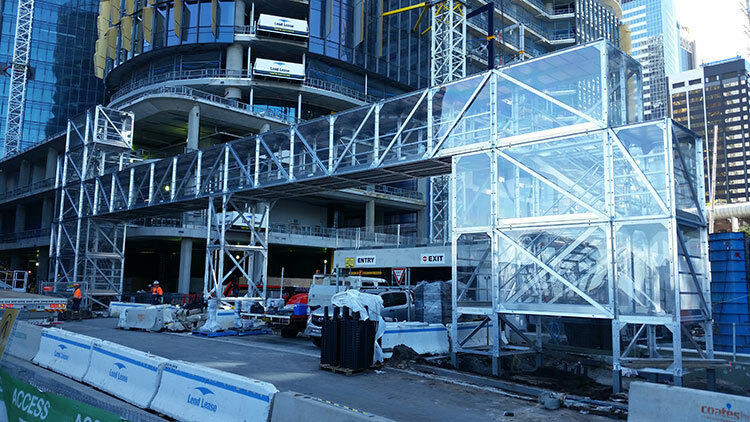 Mobile Scaffolding – Our comprehensive catalogue of off-the-aluminum shelf aluminum and steel scaffolding are convenient, easy to assemble and flexible to your onsite requirements. Ladders – With a versatile and broad range of ladders, SafeSmart has the tool for every application imaginable. Edge Protection Systems – SafeSmart’s catalogue of safety compliant edge protection systems are geared towards maintaining safe construction sites, while allowing your team maximum access where possible. Perhaps you’re looking for a more custom height access solution? Give us a call or enquire online to speak with our friendly and capable team about your specific requirements.